A furious woman with a dead baby haunts thinkers through the ages. Fictional variations on the theme of the story of Kisagotami from Buddhist literature. A furious woman with a dead baby haunts thinkers through the ages, from the Buddha and Jesus to Descartes, Hume and Jung. Her questions to them all are similar: Why am I suffering? Do I deserve this? Why is it allowed? Why do women particularly have to suffer like this? Can the baby be brought back to life? The answers, however, vary greatly. 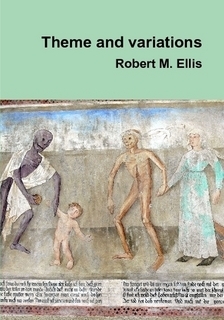 A practising philosopher who is also an amateur musician, Robert M. Ellis here turns to fiction to explore death, suffering and gender relations. The ‘theme’ from the Buddhist story of Kisagotami is developed in a variety of styles and formats, as in a musical theme and variations.